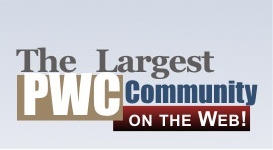 The WCWCC is at it again bringing you DIY projects you can learn from. In this episode we are featuring T Stew (Taylor Stewart) who is a WCWCC sponsored rider. Stew raced in the Pro Watercross beginner Ski Stock in Hartwell GA August 11-12 and placed 1st overall for that round. Then Stew entered another Pro Watercross event in Virginia August 18-19 and paced 2nd overall for that round. Stew decided to do some upgrades to his 1995 YAMAHA Super Jet Square Nose Jet Ski that will allow him more stability, turning ability. 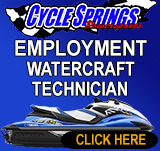 We decided to reach out to our friend Chris who owns and operates Pro Watercraft Racing located in Lake Havasu city. Pro Watercraft Racing has been a strong supporter in the racing community and is well known on the West Coast. They are known to be the handling specialist in the watercraft scene. Chris sent out a set of performance front sponsors, performance rear sponsons and race plate for T STEW to install. Even though Stew has his own methods in which he installs the part. We strongly recommend to use and follow the instructions provide by Pro Watercraft Racing for each part. All of the parts came with necessary hardware to complete the install. Additional videos with more detail information can be found at Pro Watercraft Racing website. 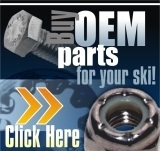 Links of the parts used are provided below for your convenience. Front Performance Sponsons HFC Front Sponsons bring functionality with cost effectiveness. These Performance Sponsons offer improved turning grip, better stability in a straight line and very important improved stability when leaning over in a turn. These HFC sponsons are tough and durable and comes with a flat black finish to grip the water better than the competition. The kit includes 8 stainless steel screws for each side and a tube of silicone to attach it to the outside. This process has proven to be the easiest and most effective way to install front sponsons. Race proven, designed by the pros, built to evolve your style. Because these sponsons are made out of our HFC material they are a universal fit, and the same sponsons fit and flex to any hull. Performance Rear Sponsons The design was created by Chris Hagest. He says: These Performance Mid Sponsons offer improved turning grip, better stability in a straight line and when leaning over in a turn. The difference between us and the other options on the market is grip and high speed turning the ski is easier to lean which makes the ride smoother through the complete turn. The aluminum sponson bolts to the inside of the bond flange and it comes with two hardware options. Race proven, designed by the pros, built for the best in the world. HFC YAMAHA Super Jet Race Plate 07 This plate not only holds up better than the industry standard aluminum and fiberglass plates, but limits bouncing, reduces subbing, even MORE stability, and better grip.